iRiS Kettingset KTM 530 EXC is toegevoegd aan uw winkelwagen. Suited for KTM 530 EXC, 08-11. 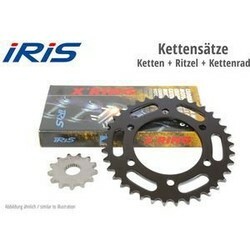 IRIS produces a complete range of high quality chains used by motorcycle manufacturers as original product. 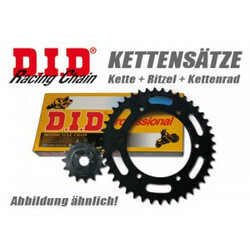 All chains are tested by professional riders in circuits and championships of velocity: motocross, enduro, trial, go-kart and used by thousands of motorcycle riders on a daily basis. ESJOT produces sprockets for this segment maintaining the most assorted warehouse in the industry. The use steel meets or exceeds highest OEM requirements. The high tensile strength of this material guarantees extreme long life. The aluminium sprockets are exclusively produced with Alu 7075, version T6. This hardened material guarantees the highest quality in conjunction with complete milling on CNCmachines. All ESJOT all sprockets are anodized. Diamond-cut is an innovative manufacturing process to cut the teeth of chain driven sprockets resulting in a visibly higher sprocket quality than was ever possible on standard milled sprockets. Special tooling guarantees a super accurate cutting surface. At the same time the material is highly condensed in the area of the teeth flanges, so that in many cases additional heat treatment is no longer necessary. 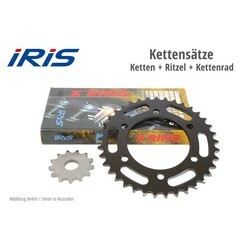 All sprockets are made from the best German steel to obtain a continued high quality product.